The previous attempt at this was interrupted by a random glitch with our Mox HPC node. I removed the last files processed by TrimGalore!, just in case they were incomplete. I updated the slurm script to process only the remaining files that had not been processed when the Mox glitch happened (including the files I deemed “incomplete”). As in the initial run, I kept the option in TrimGalore! to automatically run FastQC on the trimmed output files. MultiQC was run locally once the files were copied to Owl. MD5 checksums were generated on Mox node and verified after copying to Owl. Trimming completed and the FastQC results look much better than before. Will proceed with full-blown assembly! 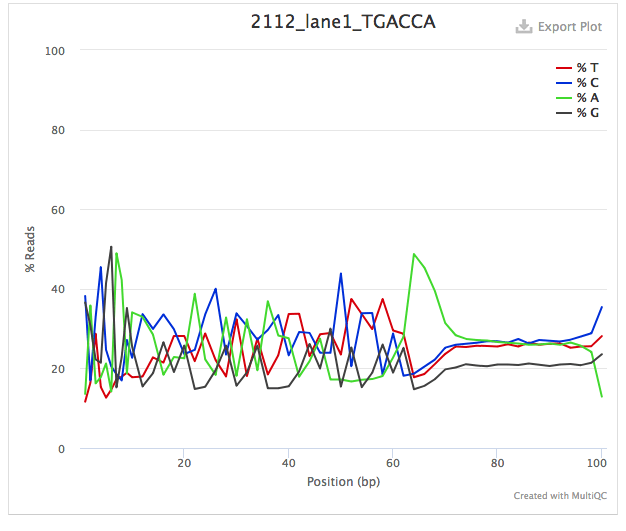 This entry was posted in Geoduck Genome Sequencing and tagged FASTQC, geoduck, mox, multiqc, Panopea generosa, TrimGalore! on 1 April, 2018 by kubu4.